another scorching reissue from mississippi records thats now just as much out of print as the original release. "An early member of the Sun Ra Arkestra, Philip Cohran went on to record & self-release this LP in 1968, originally in an edition of 1,000. 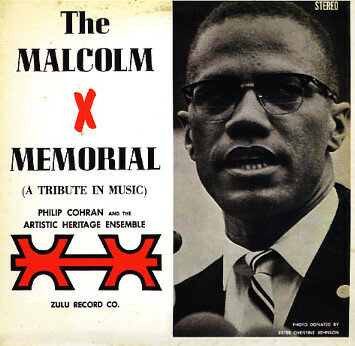 Cohran was a personal friend of Malcolm X, & this is a concept album musically telling the story of Malcolm's political & spiritual journey. It features a tight groove-oriented band (which later evolved into the Pharaohs, & then Earth, Wind, & Fire!) who explore soul, jazz, & Middle Eastern rhythms. A politically radical & intense recording not to be missed. Philip Cohran is a much under-appreciated musical genius, & we are proud to reissue this album for the first time on vinyl. Gatefold LP with archival photos & liner notes."